Successfully Added HK Warehouse Xiaomi Redmi 4 Prime Smartphone - Android 6.0, Snapdragon 625, 2.0GHz CPU, 3GB RAM, Dual-SIM, 4G (Silver) to your Shopping Cart. 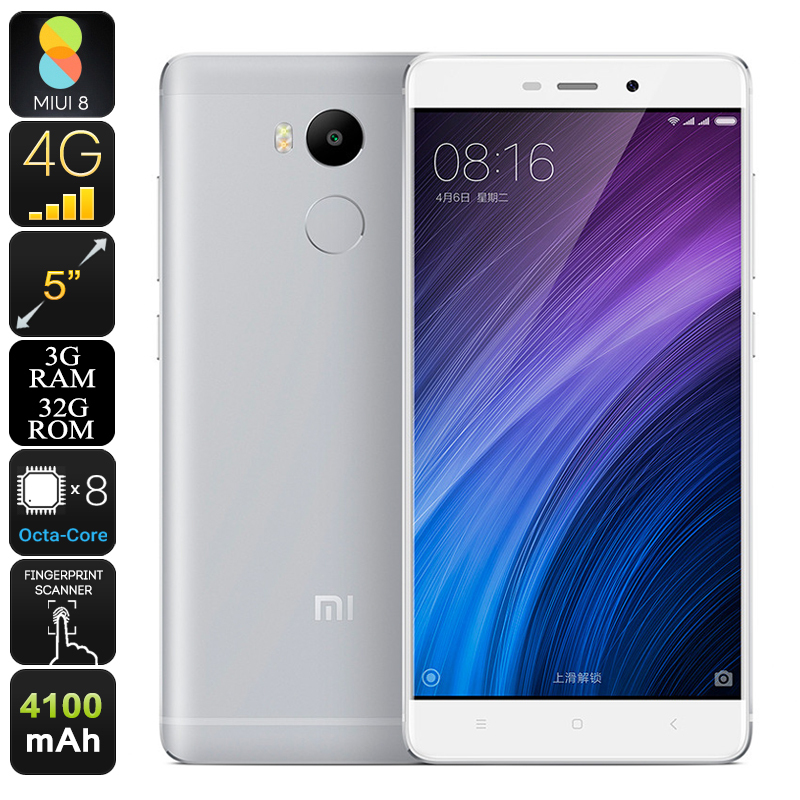 With the launch of the Xiaomi Redmi 4 China’s most innovative smartphone manufacturer has, yet again, introduced us to a magnificent device that comes with high-end specs yet at a highly affordable price. With its sleek metal alloy body, this Chinese smartphone holds a marvelous design fit for a true flagship device. A pin sharp 5 Inch Full-HD display gives the final touch to the truly stunning appearance of this smartphone as it displays all your media in vivid colors and great detail. With this phone in your hand, you will be guaranteed to turn some heads. The Xiaomi Redmi 4 runs on the trusted MIUI 8 operating system. Besides bringing all the great and familiar features of Android 6.0, this operating system also comes with an abundance of customization options – allowing you to truly optimize your mobile user experience. Additionally, this Android phone holds two IMEI numbers, allowing you to be connected to two network providers simultaneously. By making it possible to be reachable on two different phone number at the same time, the Xiaomi Redmi 4 allows you to efficiently separate business and your private life without the need for a second smartphone. An absolutely stunning 1080p display brings along vivid colors and incredibly detailed images, allowing you to take your media experience to all new heights. This 5 inch smartphone provides you with everything necessary to enjoy a true cinematic experience at any time of the day from the palm of your hand. With its 4G connectivity and Dual-Band Wi-Fi connection, the Xiaomi Redmi 4 lets you enjoy the fastest data speeds out there. Whether you like to stream an FHD movie online, play a multiplayer game, or download the latest Apps through the play store – with this Android smartphone you’ll have access to everything the web has to offer in the blink of an eye. Packing an epic 4100mAh battery this Android phone lets you enjoy your favorite media and games for hours in a row, taking away the fear of ever running out of juice again. Featuring the ultra-fast Snapdragon 625 CPU that has been clocked at 2.0GHz this latest Android phone is guaranteed to smoothly deal with all your media demands. Built for speed and detail this energy efficient Octa-Core CPU along with a whopping 3GB of RAM lets you enjoy the most demanding of games, media, and multi-tasking sessions without dropping a frame. Supporting up to 128GB of external memory the Xiaomi Redmi 4 offers oceans of space for you to save all your personal files and media that can now be carried around inside your pocket and enjoyed in stunning resolution at any time.